Will we ever have them? To finish the clone wars content i do believe Mace Windu padame and jango along with Droideka and Coruscant would be epic! 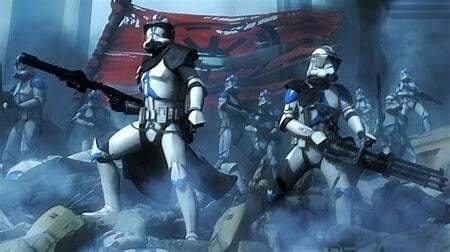 Not down with all the threads on iconic clone Commanders due to being to many when bigger heros could play a better part in this. nothing from the clown wars is epic or iconic. 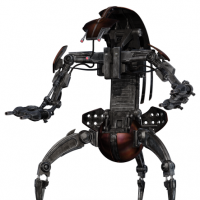 Clone commanders and droidekas would be perfect, balanced additions to the enforcer class. 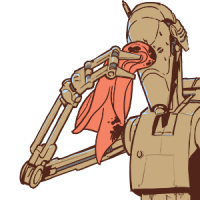 Other than droidekas and coruscant no more clone wars content. 4 new heroes isn't enough? They need to do a bounty hunter/smuggler season. I second that. Although we need light side heroes for each bounty hunter. I heard someone at DICE said on twitter they were working on transformable characters. 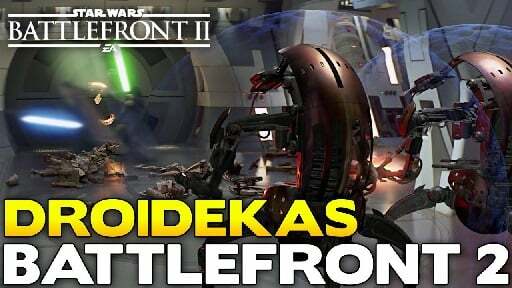 So Droidekas are probably WIP at the moment and since i didn't see any in the new trailer on Geonosis as background effects i suspect they will be coming. Hopefully they will come soon! @CT3131_JonBoy @Darth_Grievous76 there is nothing more epic than the OT settings. 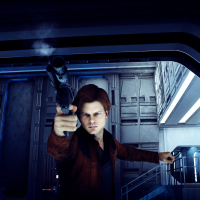 Bespin? 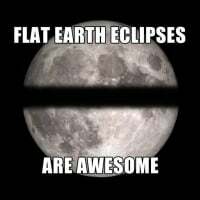 The Death Star(s)? Endor? Hoth? I like the CW/prequels but nothing is more iconic than these. and Jonboy - be thankful the PT exists as it wouldn't if the OT hadn't of come first and set it all off. I find the disdain for the OT quite pathetic to be honest. But that's millenials for you, its cool to hate great things. I’d really like Hondo to come along and have some counters to Bossk. I hate Bossk - I’m no fan of trandoshans; the image of him in ESB scared me witless as a kid in the 80s but he’s been turned into a caricature. Bespin up until the duel with luke and Vader is easily the biggest drag in that entire movie. The planet isn't what id consider "epic"
Endor with the teddy bears defeating the elite military of a galaxy spanning empire? The only epic place on that list is Hoth. I dont hate the OT. I just say the PT is better in my opinion. The OT IS mor iconic you’re right about that. I just prefer more action like in ep.3. I love all star wars i just prefer Anakin over Luke but Han Solo is my second favorite character after Anakin🤷🏾‍♂️. Ep.3 was something else! My Fav for sure though I’m a fan of all star wars, all eras. Something i’d like to add for Mace windu is that he can deflect against the emperor (from the films he did well until anikin turned). So in game would be great to see them two at it! 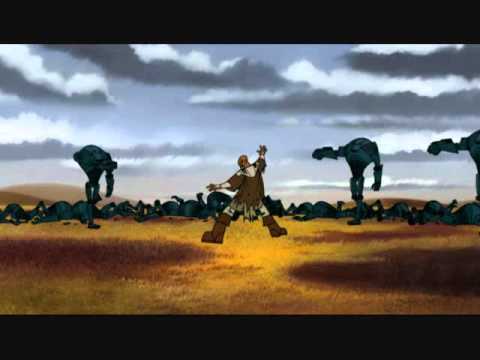 Kenobi vs Grievous is pretty iconic. Wish they spent more time on the space battle, it could have been great, the film joined it too far in. Still prefer battle over Endor, there was a lot more tension. I don't consider Griev's iconic at all, he is similar to film Maul and Phasma being wasted potential. If they kept the 2003 CW Grievs and the scene where he killed Shaak Ti, I would hold him in higher regard. He was too bumbling in cw. Mace was a glorified extra. I've never understood why so many love him. SLJ's 'he might not be dead pushed him even further down. His duel with Palps was prob the best in the PT. Yoda v Dooku was ruined by ninja flipping Yoda. Yoda Palps I always felt let down the way it ended. I do agree that the battle of Coruscant in the movies didn't last long, but reading about it makes it epic, as you understand just how massive this battle was. I didn't say Grievous was iconic, I said his fight with Kenobi is, which it is, as it's spawned multiple memes, gifs and quotes. Not only that, he's kind of a rebel among the Jedi. He's known for using "forbidden techniques" such as Force Crush, Vapaad and Muo Kei(decapitation by lightsaber, best showcased on Geonosis vs Jango). So that in my eyes makes him unique, therefore iconic. I don't quite understand the dislike for Yoda flipping around like a ninja, he's arguably one of the most powerful force users in the franchise, so why wouldn't he be jumping around doing flips at 900 years old? Again, Yoda vs Palpatine has spawned numerous gifs, memes and quotes, so I also consider this to be iconic. There are ways to get around that. Perhaps he was using the Force to give him agility while in combat, but doesn't use it out of combat and therefore needs a walking stick? He did the same with Palpatine, shambled into the room, then starts being a badass. 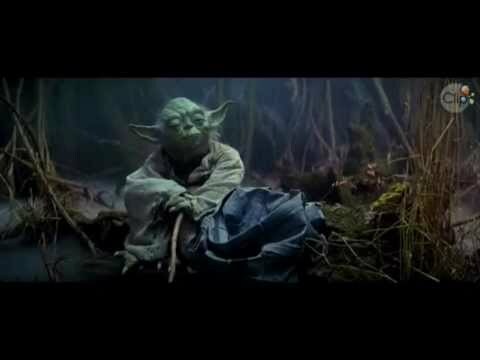 Again, a matter of opinion, seeing Yoda on Luke's back going "mmmm, mmmmm" like he's enjoying it a bit too much is a little more cringe, than seeing Yoda do a few flips in my opinion. 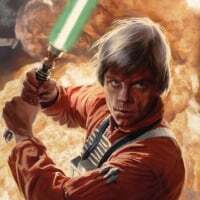 What I like about the game as it currently stands, is there is a nice balance of heroes with lightsabers and blasters (or force lightning). As much as we'd all like to see our favorite heroes and villains leap into battle, I think it's more important to maintain that balance. That being said, we're getting four new heroes and villains with lightsabers as primary weapons. I'd like to see some more blaster additions before anything else. Bounty hunters would be cool. Jynn and Director Krenic would seemingly be easy additions since they could likely copy a lot of what they did, if not all of it from BF2015. I'd also like to see a little more balance between the eras, meaning another round of heroes from the new trilogy. Snoke, Maz, and Poe would be obvious candidates. I think it would be cool if Poe had BB-8 shock roll up and shock someone as a move. Maz would have a jetpack to add a little balance to Boba Fett. Snoke should have some sort of mind trick ability where he causes enemies to see multiple force illusions of enemies and friendlies that aren't really there. Lots of potential in this game, its frustrating to see it only half fulfill it. Whatever dude, you started calling something cringe, so I countered with what I thought was cringe. Don't like it? Don't start. Matter of opinion here chill guys look we all want more in the films longer dual scenes, longer space battles but what we have is, what we got so all the duals, battles and every moment that was crammed into the films, in my eyes are epic if they weren’t then we’d have nothing to discuss. This BB-8 shock with poe idea is awesome seeing any of the droids in BFII would just add an extra star wars loving touch the idea to incorporate bb-8 into the game is DOPE!